Soon after the explosion, ULFA-Independent military chief Baruah called up a local news channel and claimed responsibility for the blast. 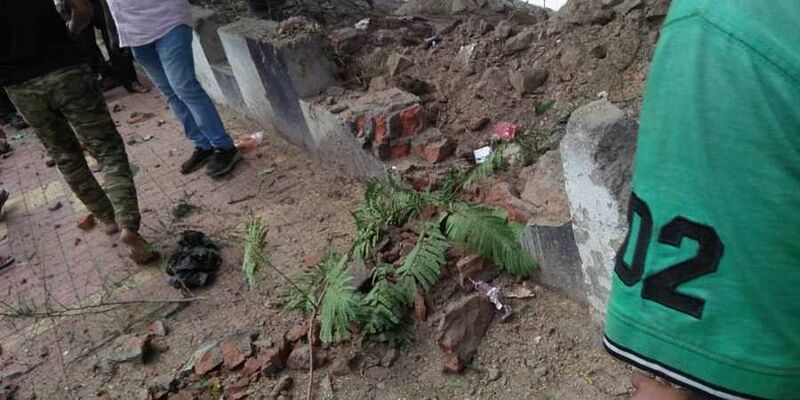 GUWAHATI: Four people, including a woman, were injured when the Paresh Baruah faction of insurgent group, United Liberation Front of Assam – better known as ULFA-Independent – triggered a blast in Guwahati on Saturday. The attack, which came just a week ahead of the first One Day International between India and West Indies in the city and Durga Puja beginning on Tuesday, is the fallout of the Centre’s move to pass the Citizenship (Amendment) Bill, 2016. The controversial bill seeks to grant citizenship to the non-Muslim immigrants of Bangladesh, besides Pakistan and Afghanistan who migrated to India till December 31, 2014. In Assam, the problem is about illegal immigration from Bangladesh. Various Assamese organisations, as well as the opposition parties, have been for long opposed to the Citizenship Bill. They say the bill, if passed, will not only automatically legalise the stay of the “Hindu” immigrants in Assam, it will also encourage the immigration of the Hindus from Bangladesh to the state. The blast came amidst speculations in Assam that the Centre will pass the Citizenship Bill during the Winter Session of the Parliament. The speculations got strengthened after the BJP at its recently-held state executive endorsed the bill. “We own up responsibility for the blast. We triggered it as a mark of protest against the Government of India’s attempt to settle the Bengali immigrants in Assam. The attack is also against the conspiracy against the National Register of Citizens (NRC). We will continue such protests in the coming days. We are sad that the hegemony of the locals is increasingly getting hurt,” ULFA-I’s self-styled “commander-in-chief” Paresh Baruah told a local news channel. It was not a powerful blast but the rebels’ act has the potential to provoke the indigenous communities against the Citizenship Bill. Various groups and organisations have already expressed concerns that if the Citizenship Bill is passed, it will adversely affect the locals and make the ongoing updation of NRC meaningless as the “Hindu Bangladeshis” (read non-Muslim immigrants) will be protected. The police said they were probing if the explosion was triggered through a timer device or remote control. “We are also trying to find out the nature of the explosives used and if the rebels triggered it by themselves or outsourced somebody,” Director General of Police, Kuladhar Saikia, said. He said there were no specific threats of subversive activities in the lead up to Durga Puja. He said the police would review the security situation. Assam’s Education Minister Siddhartha Bhattacharya was critical of the rebel group. “What will Paresh Baruah gain by carrying out such acts? And what is he trying to prove? He should apologise,” Bhattacharya told reporters at the blast site. “It’s a wakeup call for us and we have taken it very seriously. We have to take more measures to tackle such acts. Such acts will benefit none,” he added. The blast took place beside a footpath near the Sukreswar temple on the bank of the Brahmaputra at busy Pan Bazar area. A concrete wall was damaged in the impact of the explosion. A city bus was also partially damaged.